We were able to do a good bit of exploring over the beautiful Memorial Day weekend. On Saturday, we loaded up and drove further into Arlington to find the Shirlington dog park. We have a nice little dog park within walking distance from the Oakwood that serves as a great way to help DiploDog get some of her energy out, but it is relatively small. The draw of Shirlington is that it is bigger and there is access to a creek where the dogs can romp. The creek area isn’t officially part of the park, but there are gates that allow access down the banks to the water. It has been quite some time since DiploDog has been able to get in the water, so needless to say, she was quite excited. I was a bit concerned that I wouldn’t be able to get her to come out, but I was eventually able to lure her back to the shore. The water was fairly shallow, so while it was no Millie Bush dog park back in Houston, with its two big swimming ponds, it was still a great opportunity for some fetching and romping. When we finished up we walked over to a nearby restaurant center that is dog-friendly and has plenty of options with outdoor seating and even water bowls for all the canine visitors. 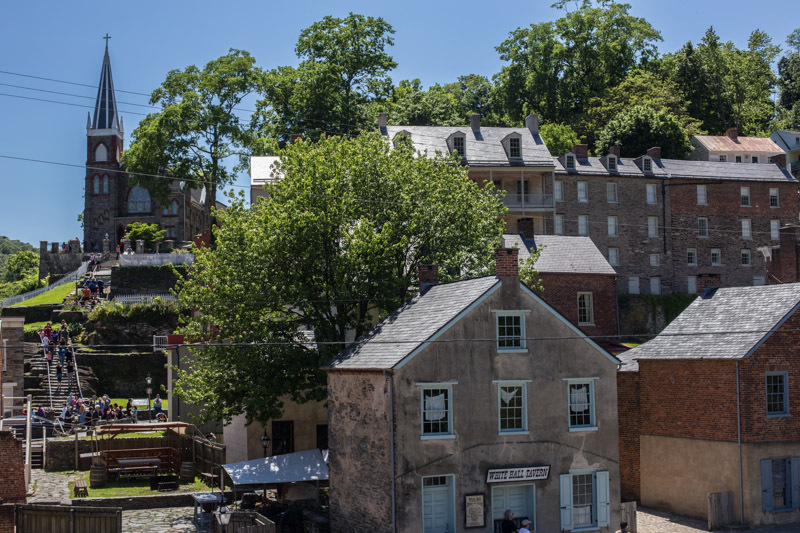 On Sunday, DiploDog got to go for a weekend visit to dog daycare and the rest of us loaded up in the car and headed up to Harpers Ferry, West Virginia. 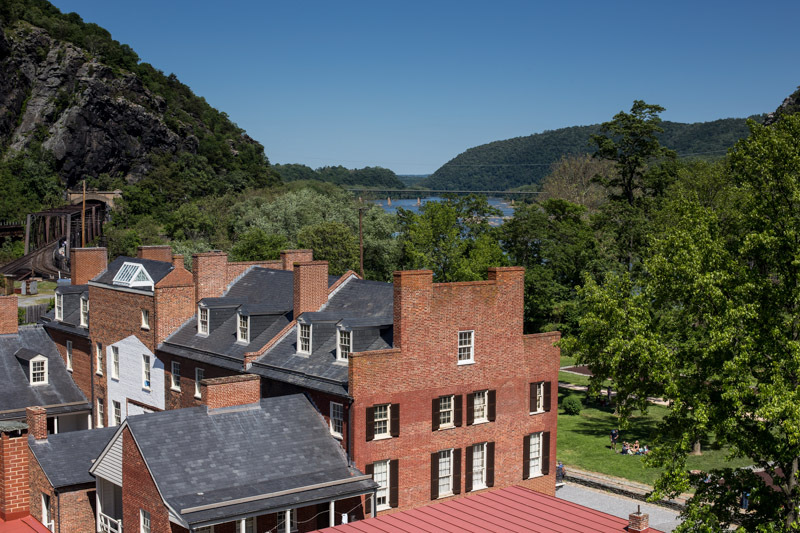 The town is located at the confluence of the Potomac and Shenandoah rivers where Maryland, Virginia and West Virginia meet. The town and surrounding areas are part of the National Park Service. It was a beautiful setting and the weather was perfect for taking in the sights. 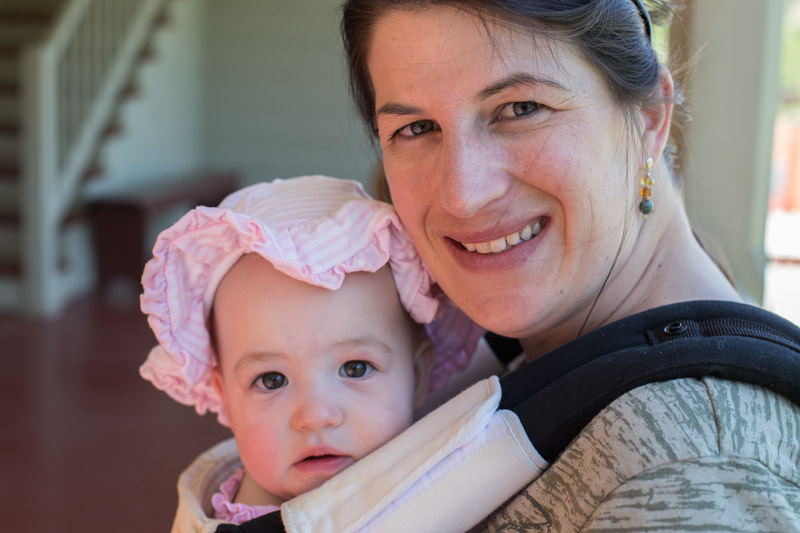 We are very pleased that DiploTot is so content to be carried around in the Ergobaby. This thing is a total lifesaver as a stroller would not have been well suited to the area. On Sunday we met up with folks from DiploMom’s A-100 class for a picnic in Rock Creek Park in D.C. There aren’t any Metro stops all that close to the park, so we had to drive into town, which wasn’t as complicated as we anticipated, save for some confusion on our way out. It’s quite a gem of a park. DiploMom is now back to her consular training class this week and I’ll be headed to the pediatrician for DiploTot’s nine month checkup. She has only woken up once these past couple of nights, so we are hoping this is going to become the new normal. One of many things we had to decide on before heading to Guatemala City was what we wanted to do about a car. We are going to sell our current car before leaving, as it has quite a few miles on it and it is much easier getting a Toyota, Honda, or a Hyundai serviced overseas than a GMC. Knowing we were going to sell meant we had to find something here before we left, or wait until we arrived to buy something locally. We are able to have a car shipped over which is great, but this process can take a while and the car is usually held for up for 6 weeks before it can be cleared. 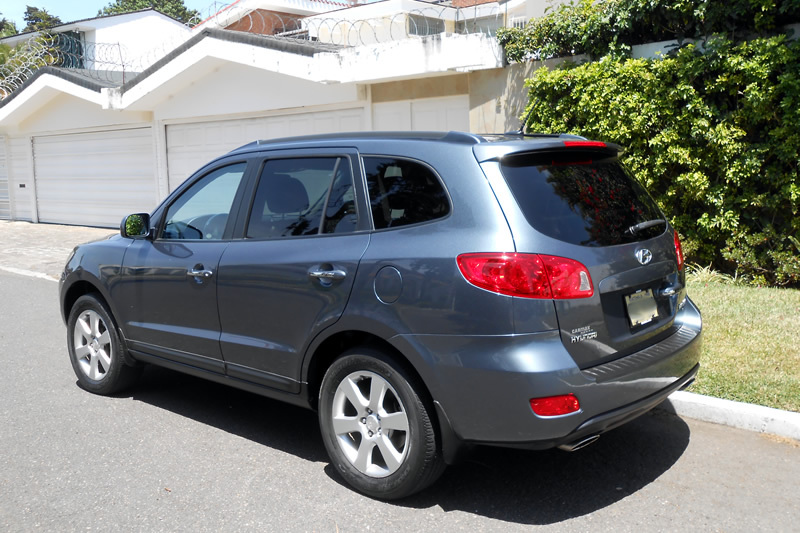 Given this process, DiploMom did some digging around in the Guatemala City Embassy newsletter and found a listing for a 2003 Hyundai Santa Fe, but unfortunately, it was a manual transmission and there was no way either of us was going to learn to drive a stick in a foreign country. We always used to joke that if we ever got on The Amazing Race, that a manual transmission would have been our Achilles’ heal. She asked the contact if she knew of anyone else at the embassy selling a car and we were pointed to another Santa Fe. This one was a 2008 with just 47,000 miles and an excellent price – much less than what we were turning up on AutoTrader for similar year/mileage RAV 4s, CRVs, and Santa Fes. Long story short is that we decided to buy the car and I wired the payment on Monday. It was a weird feeling essentially buying the car site unseen, save for the pictures the seller emailed to us, but we are realizing this is pretty typical for State Department staff heading to and from posts. The seller is leaving Guatemala City at the end of May, but her boyfriend is going to be able to keep the car for us until we arrive. In the meantime, local paperwork for the transfer will be handled so that the car will be ready for us as soon as we arrive. No waiting around for a month or more for the car to get cleared, which will be just great. We always assumed that whatever car we ended up with at post would be sold when our tour finished, but given the mileage and features on this Santa Fe, it may just leave the country with us when we come to the end of our time. 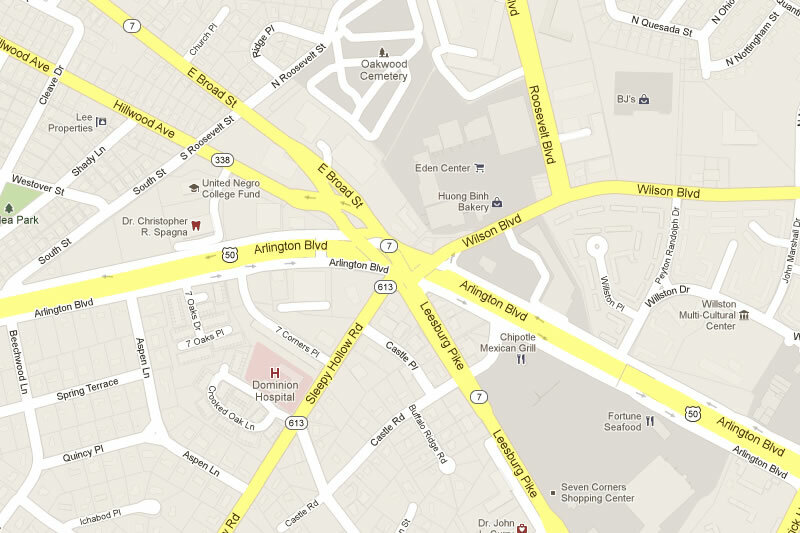 We are really pleased with our location in Falls Church. We have easy walking access to several parks and have been getting out on most days with DiploTot and DiploDog. Our location also places us near lots of restaurants and retail stores which is very convenient for groceries and runs to Target. The only downside is that to get to most of these places, we have to go through Seven Corners. I have no idea how so many roads ended up converging here, but needless to say, it can be quite a mess. This intersection was the cause of a few meltdowns and less than exemplary behavior on my part when we were first getting settled in to the area. The stresses of moving across the country into a one bedroom apartment with a baby and dog, no problem. Navigating Seven Corners those first few weeks, not one of my finest moments. We are now pros at getting where we need to go and have managed to figure out a few shortcuts that can help a lot. I’m sure when we are navigating the streets in Guatemala City, we’ll look back and laugh at how we actually thought Seven Corners was stressful. 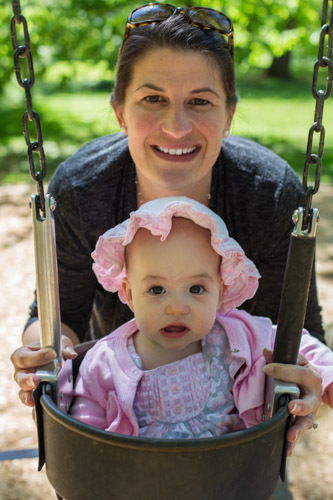 Gorgeous weather today for Mother’s Day, which meant we got out and enjoyed it with a nice picnic and swing time at a nearby park. 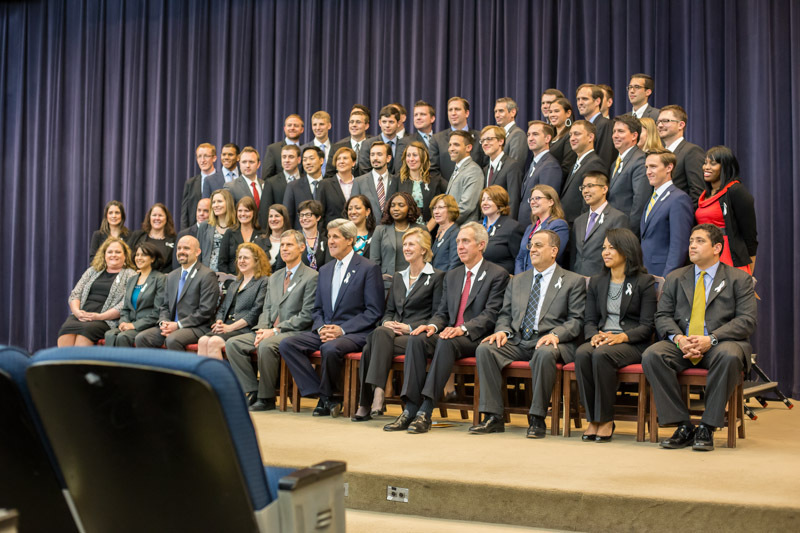 DiploMom had her swearing in ceremony this past Friday. 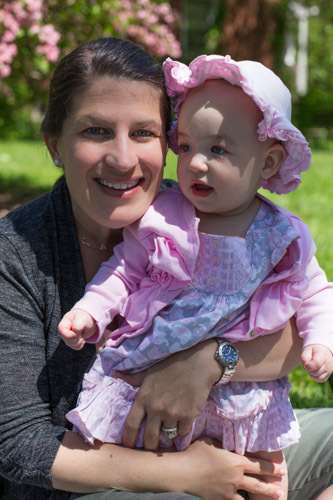 The ceremony marked the end of her A-100 training class and now she will have some additional classes and her consular-specific training before we head to Guatemala City in July. The ceremony was down at Main State in Foggy Bottom and the father-in-law and I were able to see a bit of the building and have lunch there with her before the ceremony. The ceremony itself was relatively brief and was more solemn than the Flag Day ceremony. There was more buzz surrounding this particular swearing in because remarks were going to be given by the Secretary of State, something that hasn’t occurred to an A-100 swearing in in over three years. 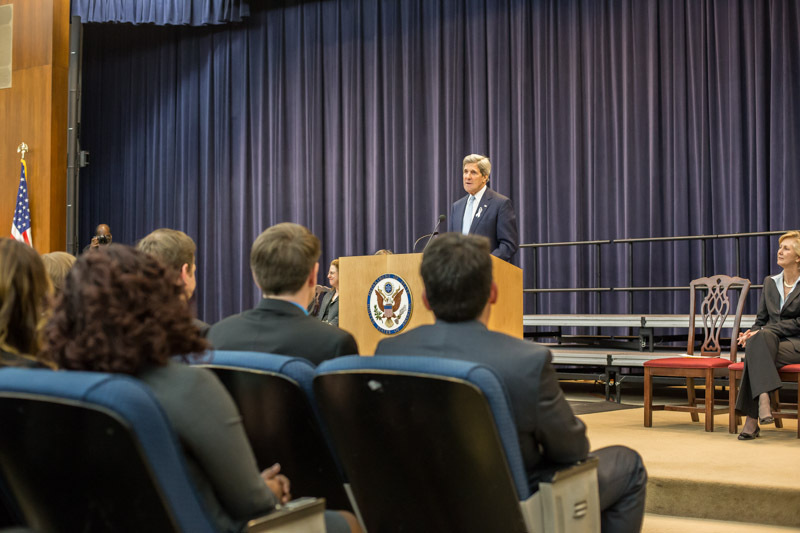 Secretary Kerry delivered some great and encouraging remarks to the class before then swearing them in. I’m so very proud of DiploMom and we feel great having made it through these first six weeks.